Andrew, Always pleased to hear from a descendant of one of "my girls". Yes, I have been on this project a long time. I am now seeing the light at the end of the tunnel but still several years to go. My project entails recording all WW1 serving female casualties and writing short biographies of them together with photographs of them, their graves and their memorials. The photograph that I have of Violet is the one findable on the internet and part of the Imperial War Museum collection. Any others would be gratefully received. I had someone able and willing to photograph her grave. Unfortunately Christ Church Cathedral churchyard is under lock and key and my man could not gain access (or, at least, find the right person with a key). As a descendant I am sure that you would fair better but it may not be convenient. As I understand it Violet served at the convalescent hospital formed at Merton College. I also have a source that she served at 3rd Southern General Military Hospital, Oxford. 3rd Southern General Military Hospital, so far as I can tell, was not just one hospital but a group of hospital wards and operating theatres scattered across a number of Oxford sites, one of which was at Merton College. 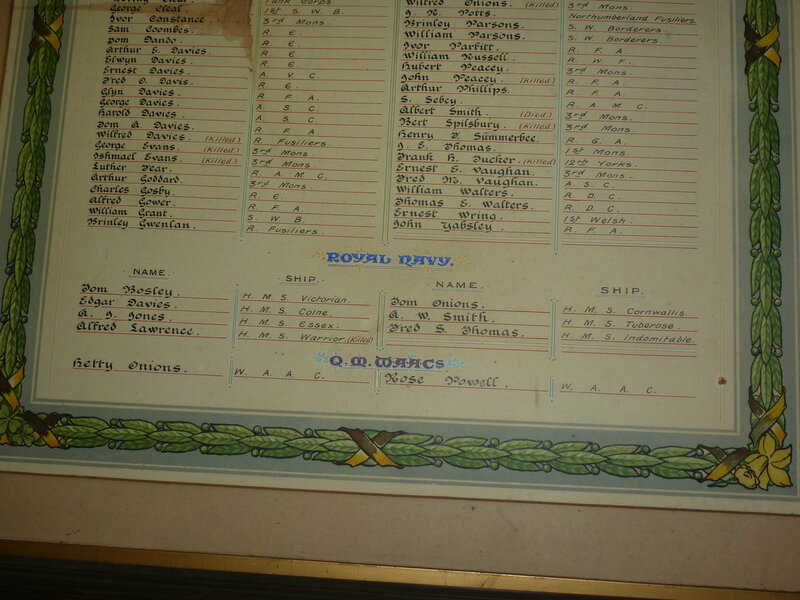 So, as she served in a military hospital as a VAD she should be eligible for CWGC remembrance and a headstone. This is almost certainly under way by the In From The Cold Group (members are on this Forum) when they get around to her. The chances are that Violet already has a headstone in which case the CWGC are unlikely to add theirs but they will record for perpetuity that hers is a war grave and it will be checked for grave maintenance from time to time (not that it is likely to be necessary bearing in mind where it is). Another of "my women" is Marjorie Beatrice Moberly who served with the Canadian Army Medical Corps (probably as a civilian nurse) and died in Canada on the 26th October 1918. She is yet to be researched by me but I am expecting there to be a link as a cousin or second cousin to Violet. Not sure what Bardess was posting here. The link is to Ancestry Australia which I cannot get into. Andrew has since sent me photographs of the grave marker which is a conventional one which has the names of father, mother, Violet and (as a memorial) to a nephew who died WW2. I expect that the IFTC team will be doing their stuff in due course to get her commemorated. Hopefully email also on its way but some servers are playing up! Interesting that the firm's fire brigade and engine took part in the funeral procession. A nice touch. So did the amunitions factory have their own fire engine? Hi as promised the Tredegar roll of honour luckily rescued from a derelict chapel which had been sold to a scrap merchant. It is on display now in theTredegar Museum. I think Hettie Onions is buried in Chichester not Tredegar, as she had been a teacher there. I need some advice on how best to tie up some loose ends on Miss Whiddett. I was unable to find her grave but feel that I should find out more about her, even if is only for my own satisfaction. Her father is quoted as saying that he had lost two sons in the war (before Florence I presume) and a bit of digging has led me to believe they were probably 18915 Spr J R Whiddett, killed 02/03/17 and L/8620 Pte George Whiddett (the Buffs) killed 13/10/15. I am reluctant to buy medal cards, as I don't know what info is on them, and whether it would be of use in my quest. The CWGC data doesn't give an indication of family, so is there any way of tying these two men to Florence? (she is not listed on the census as Victoria for some reason). Can anyone out there please advise? Im new to this forum but noticed your investigation into Victoria Florence Whiddett who worked in munitions in Faversham and died in 1917. She was my gran's sister, one of 13 children of John and Emma Whiddett. My gran lost 3 brothers in WW1. Their names are on the war memorial in the Buttermarket. She also lost a brother-in-law as well as her sister Victoria. I have copies of all their birth certificates. I can fill in detail of the family should you be interested. Do you still need DORSET, Holt and WILTSHIRE, Barford St. Martin? I can do these, but whose graves do you want photos of? I can't see any females there. I am fairly certain that they did. Dangerous work required supporting safely measures. Perhaps not a fully functional fire engine as we know it but certainly a mobile water waggon, hoses and pumps. DORSET, Holt - I need a photograph of the grave of Angelina Mary DACOMBE, VAD, who died 23rd October 1918, aged 25. She is said to be buried in St. James' churchyard, Holt. I hope that the grave has a headstone for on the web site below only shows a James Dacombe as being there. But she is shown on the second website (below) as being buried in Holt so I wonder if there is another burial place, perhaps a chapel. WILTSHIRE, Barford St. Martin's churchyard - I need a photograph of the grave of Violet Millicent FLINT, VAD, who died 12th October 1918, aged 25. Hi I live in Barnsley and could do around here. However I am going to scarborough today so could do that for you. Next week I am going to pwllhelli so can do there for you. I have tried to email you using address on page 1 but was returned. Thank you for offering. Got to this message too late to give you Scarborough, I expect. But I need a photograph of the grave of Johanna Bennett who died 16th December 1914. She is buried in Dean Road Cemetery. I do not have the plot number but I know that her son is in there in section D, grave 24. Edith Emma Crosby, Ada Crow, Alice Duffield, Bertha McIntyre, Emily Lois Merryweather and Mary Prew are others that I want from the same cemetery. They were all casualties from the German bombardment. For Pwhlleli, I need a photograph of the grave marker of Margaret Mary Evans, VAD, who died 20th July 1918. She is buried in grave 3, row A, plot B in Pwllheli Borough Cemetery. Also her name on the Pwllheli War Memorial. As for Barnsley, I have nothing currently required there but if you look in the listing above there may be other Lancashire places that are in striking distance. Substitute AT for @ and close the gaps (done this to save trawlers). What an idiot I am !! Sorry to both Yorkshiremen and Lancastrians (and women). I plead colour-blindness and not being able to distinguish red and white. BARNSLEY - Dorothy FOX, VAD, died 3rd November 1918. 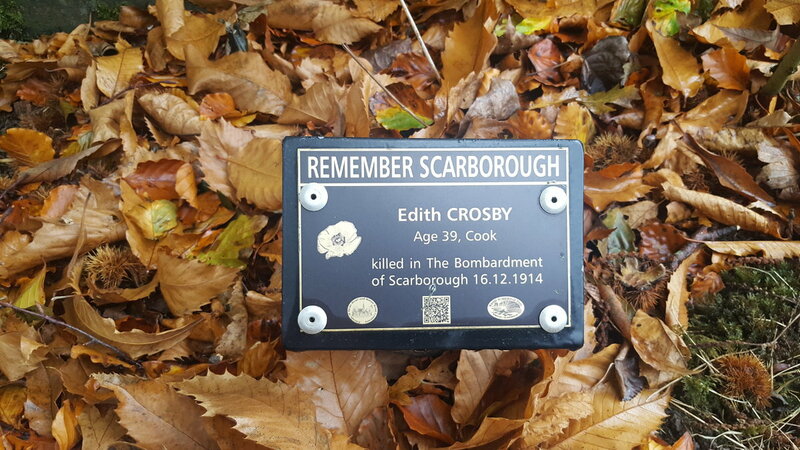 I have a photograpoh of her grave in Barnsley cemetery but need photographs of a memorial to her in St. Mary's church and also a photograph of the stained glass window there presented by her parents. SHEFFIELD - Emily HARTMAN, VAD, died 20th October 1918. I have a photograph of her grave but need a photograph of her name on the Wilson Road Synagogue Roll of Honour. I am guessing that access to this will require some advance arrangement. Another is Eliza WILLIS, VAD, died 24th February 1919. She is buried in plot KK. Gen. 1195, Burngreave cemetery, Sheffield. They did invite me to the heritage day on 11 November but I cannot make it. I need a photograph of the grave of Annie Mycock who was a VAD and is buried in a family grave in St. James' churchyard, Buxton Road, Texal. She died in the latter part of 1916.